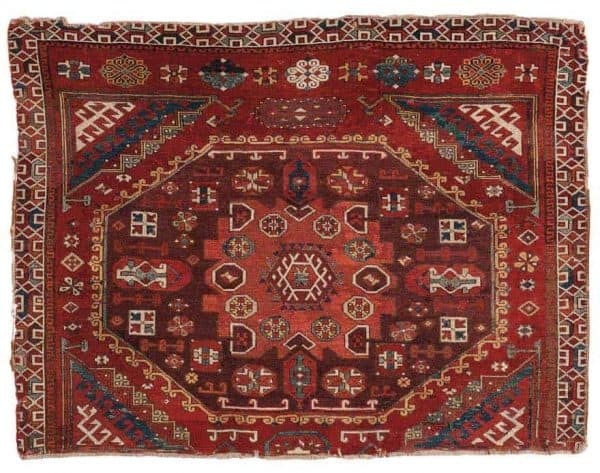 Skinner will hold their next special carpet auction ‘Fine Oriental Rugs & Carpets’ Sunday 28 April 2019 at 12pm in Boston. Their preview will be open for the public Friday 26 April from 12pm-7pm, Saturday 27 April from 12pm-5pm and on the day of the auction Sunday 28 April from 9am-10.30am. 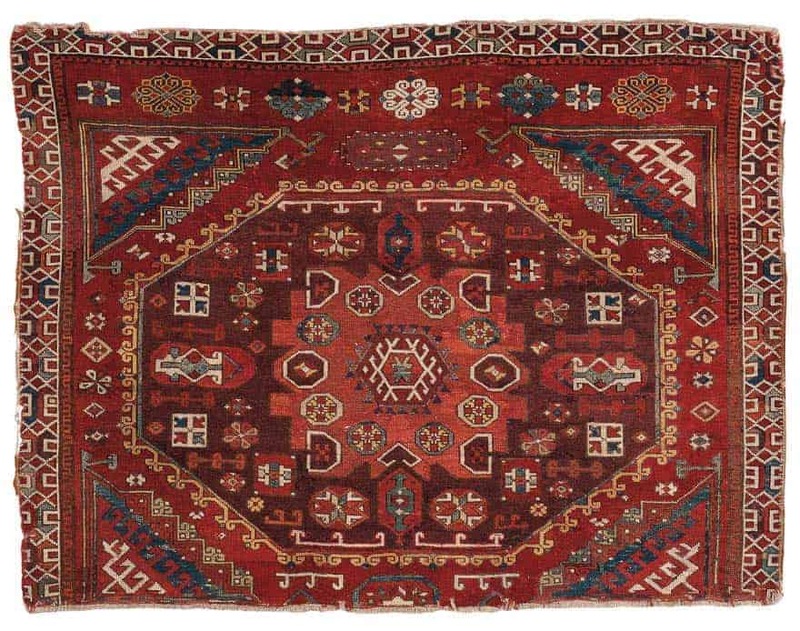 The April Fine Oriental Rugs & Carpets auction includes 382 lots and among them the Cadle Collection. Don and Inge Cadle began collecting rugs in the late 1960s and focused primarily on Turkish, Caucasian, and Southwest Persian rugs, paired with an affection for early Chinese rugs. 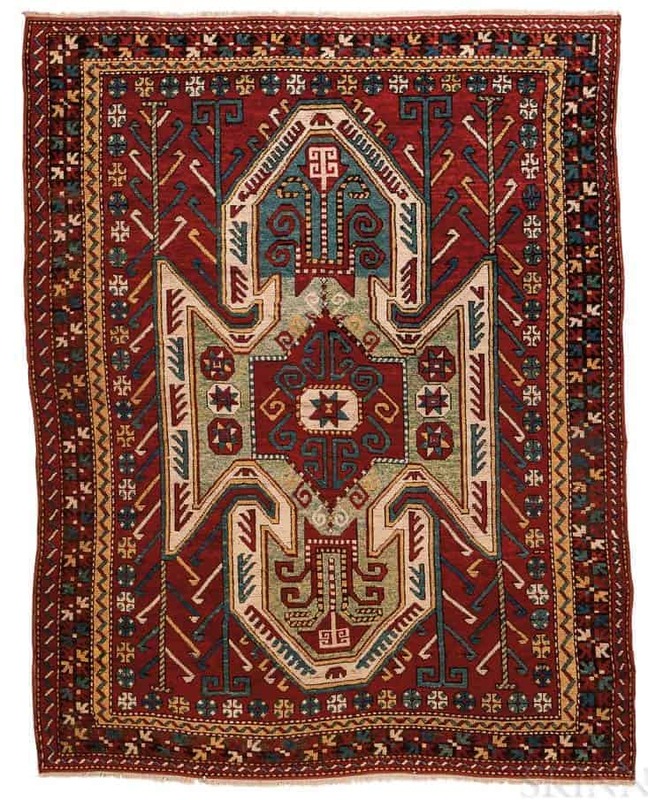 Lot 39. 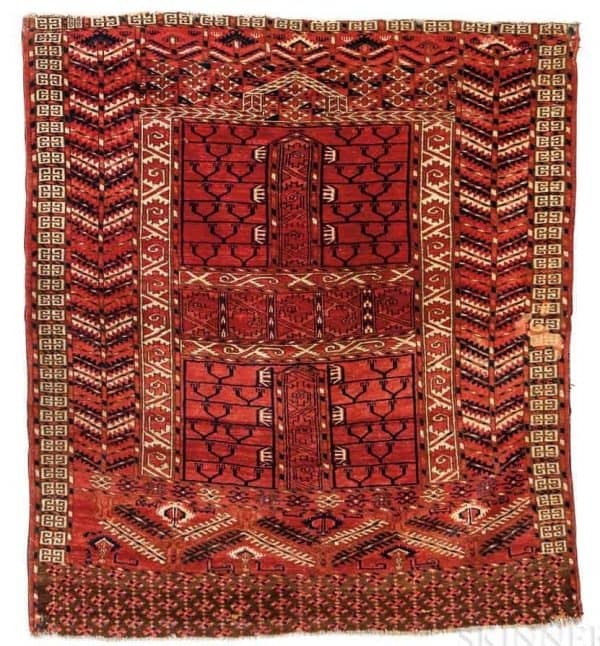 Antique Serapi Carpet, northwestern Iran, c. 1890, 11 ft. 9 in. x 9 ft. 1 in. Lot 73. 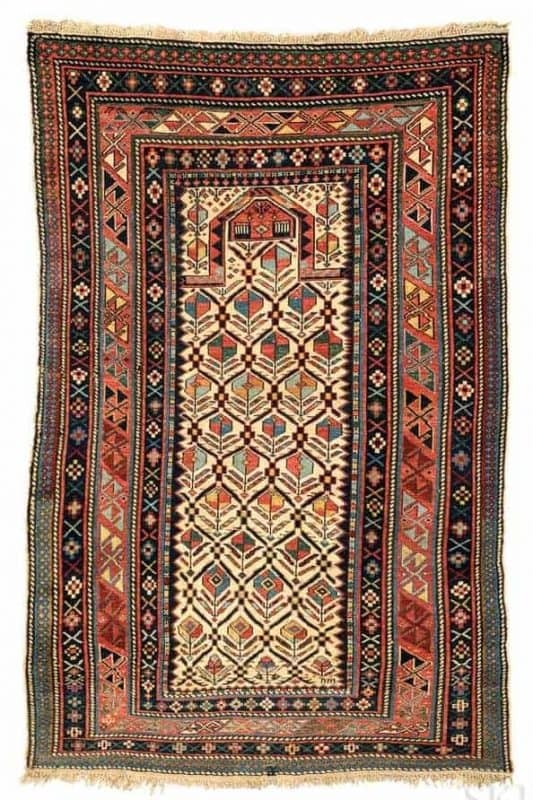 Tekke “Animal Tree” Engsi, Central Asia, 1850 or earlier, 4 ft. 7 in. x 4 ft. 1 in. Lot 96. 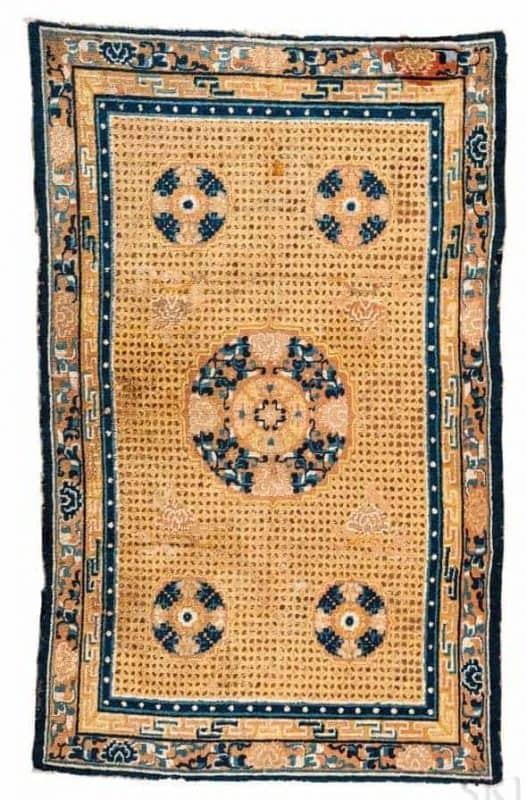 Khotan Mat, Central Asia, c. 1850, 2 ft. 7 in. x 1 ft. 9 in. Lot 113. 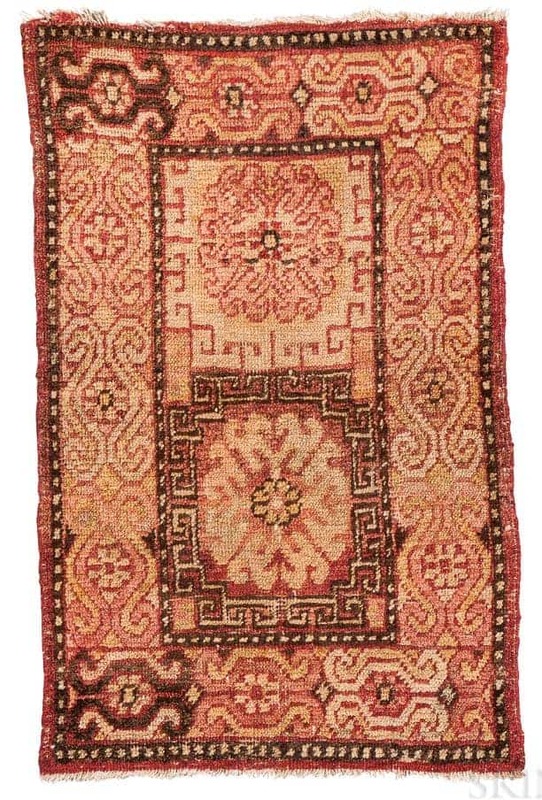 “Large-Pattern” Holbein Carpet Fragment, Turkey, 16th century, 3 ft. 9 in. x 4 ft. 11 in. Lot 189. 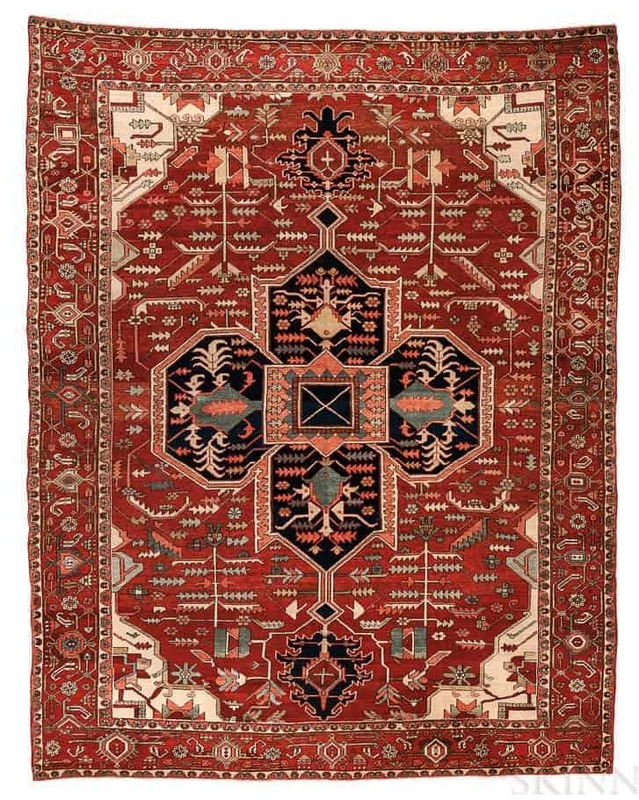 Ningxia Carpet, China, c. 1800, 9 ft. 8 in. x 5 ft. 11 in.